UK drinks producer and distributor, Copestick Murray Limited, has recently received mixed results from the UKIPO in connection with its trade mark SILENT PEAK, ultimately resulting in the mark being refused registration. On 15 June 2017, Copestick filed UK Trade Mark Application No. 3237641 for SILENT PEAK covering “wine”. Two oppositions were encountered. The first opposition, by Spiritmen Limited, was based on EU Trade Mark Registration No. 012914263 for the mark SILENT POOL covering a range of alcoholic beverages but including the limitation “none of the aforesaid goods being wine or wine-based beverages other than spirits”. The second opposition, by Albury Vineyard Ltd, was based on UK Trade Mark Registration No. 3124973, also for the mark SILENT POOL, covering “wines and wine-based beverages”. The opponents in both cases argued that the marks SILENT PEAK and SILENT POOL were visually, aurally and conceptually similar. In the case of the Albury Vineyard opposition, the goods were clearly identical; in the case of the Spiritmen opposition, the goods were claimed to be similar. Copestick denied that there was a likelihood of confusion and drew the UKIPO’s attention to the co-existence on the trade marks register of other marks which begin with the word “SILENT” and cover identical or similar goods. The two oppositions were considered by the same Hearing Officer and decisions from the papers were issued on 10 September 2018. The Spiritmen opposition was rejected but the Albury Vineyard opposition was successful. Consequently, the SILENT PEAK application was refused. The Hearing Officer held that the marks SILENT PEAK and SILENT POOL had a good degree of visual similarity, were aurally similar to at least a medium degree, and had a medium level of conceptual similarity (both marks evoking a “silent, natural location, albeit that one of these locations is water and the other a hill or mountain”). Where the distinction lay between the two oppositions was in the goods. While there was no argument that Copestick’s “wine” was identical to Albury Vineyard’s “wines” (hence the successful opposition), the Hearing Officer gave careful consideration to the comparison of “wine” and Spiritmen’s other alcoholic beverages. Weighing up the general similarities in nature and purpose (i.e. both parties’ goods were alcoholic beverages, “consumed as a matter of taste and in order to obtain the effect of alcohol”) and the specific differences (e.g. different ingredients, short drinks versus long drinks, the higher alcohol content of spirits), the Hearing Officer concluded that the goods of Copestick and Spiritmen were similar only to a low degree. When a global assessment was carried out, this low degree of similarity was not considered sufficient for there to be a likelihood of confusion overall, resulting in Spiritmen’s opposition being dismissed. In both cases, the Hearing Officer considered the co-existence of arguably similar marks on the trade marks register to be irrelevant. While the writer is not particularly surprised by the opposition outcomes, the cases offer up some useful reminders both to trade mark owners in the alcoholic beverage industry and their legal representatives. While differing types of alcoholic beverage clearly have general similarities, the specific differences in nature, purpose, trade channels and so on can result in them being deemed similar to no more than a low degree. Couple that with similar-but-not-identical trade marks and there is no guarantee that a likelihood of confusion will be found. A global assessment of the marks and goods is key. In the present cases, the visual and conceptual similarities and differences between the marks were considered to be more important than the aural similarities and differences, despite the opponents’ arguments that the aural similarity was particularly relevant since alcoholic beverages are often ordered verbally in noisy environments. 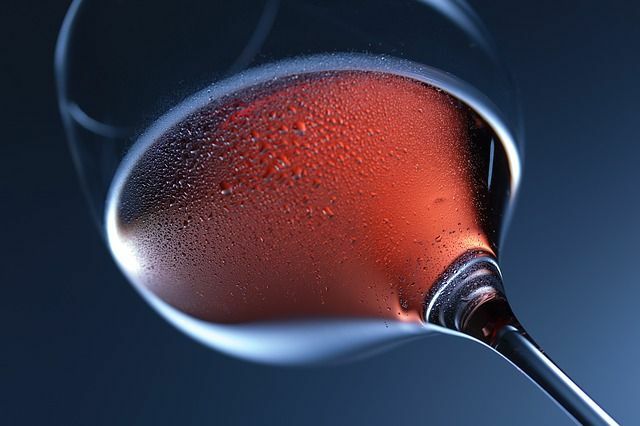 The view held by the UKIPO is that, when it comes to products such as wine, consumers frequently order from a list or from bottles visible at a bar. This is so even in noisy settings. Finally, these cases once again demonstrate the irrelevance of co-existing marks on the trade marks register, and the short shrift given by the UKIPO to arguments focusing on such co-existence. The state of the register is not of itself evidence that the public are used to seeing and distinguishing between similar marks in the marketplace.